Abu Dhabi, Oct. 10 (BNA): The Shaikh Zayed Book Award (SZBA) hosted the second instalment in its series of international seminars in Milan on October 5, as part of its commitment to advance Arab culture. 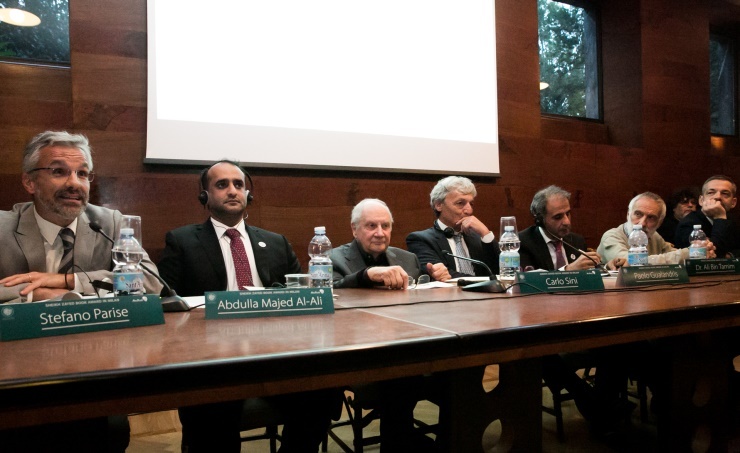 Entitled ‘A Dialogue Between Arab and Italian Literature’, the event was held at the museum Villa Necchi Campiglio and introduced the Italian audience to the most notable initiatives by the Shaikh Zayed Book Award that encourage annual nominations from outside the Arab region. 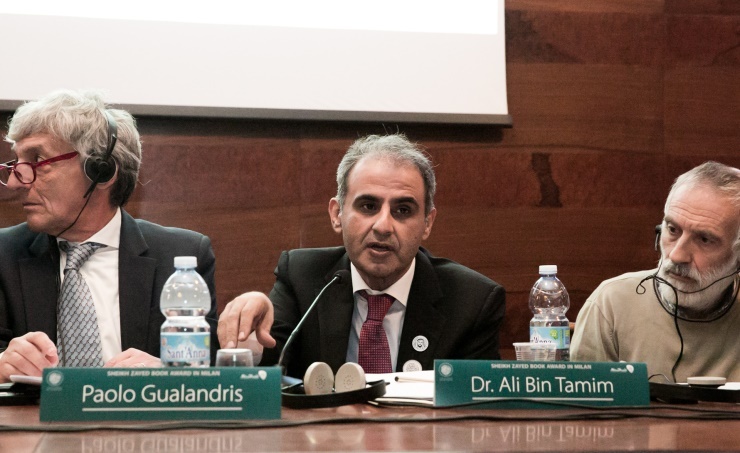 The seminar welcomed Consul General of the United Arab Emirates in Milano along with Consul Generals of Egypt and Kuwait and an array of authors, publishers and translators. The event was inaugurated with a speech by Dr. Ali Bin Tamim, Secretary General of SZBA, followed by a note by Abdullah Majid Al Ali, Acting Executive Director of the National Library Sector at the Department of Culture and Tourism - Abu Dhabi (DCT Abu Dhabi) and Member of the Board of Trustees of the Award. The event included a panel discussion featuring renowned Professor and philosopher Carlo Sini; Italian publisher and founder of Marcos y Marcos publishing house Marco Zapparoli; Italian author and journalist Alessandro Zaccuri; philosopher and academic Paolo Spincci; representative of Milan National Library Aldo Pirola, and Italian editor and journalist Paolo Gualandris who moderated the talk. Dr. Bin Tamim spoke about the cultural initiatives and the global dimension of the Award, and the translation fund that aims to introduce Italian culture to Arab audiences. "A civilisation is a broad and extensive cultural entity, which is highly susceptible to the influence of other civilisations, leading to enriching human societies and history in general," he said. "The interaction between different cultures and civilisations depends primarily on translation, not as an intellectual luxury, but due to the intrinsic human need to connect with others. This profound role of translation affects the shaping of perceptions, diversifying cultural and intellectual heritage, enhancing the means to understand others, adapting with progress and expanding knowledge. Consequently, we at the Award encourage all fruitful collaborations, due to our strong belief in sustaining a healthy dialogue between cultures and civilisations, for the great role it plays in fostering development and growth, as there is no civilisation that arose on its own in isolation from the rest of the world." The event also featured poetry recitals from poems by Arab poet Al Ma'arri and famous Italian poet Dante, on which Aldo Pirola commented: "We heard a text by Abu al Ala’ al Ma’arri in Arabic and a text for Dante in both Arabic and Italian, and despite the fact that each text was produced three-centuries apart - the text of Al Mua’arri from the 11th Century and Dante’s from the 14th - the similarities between the two are very clear in terms of the concepts they explore, as both discuss religion and life. This indicates the universality and humanity of literature, which is constantly invested in the life of humans, their thoughts, delights and troubles. We are in extreme need today for opportunities that encourage translation as a profession and a text concerning humanity such as this one given to us by the Shaikh Zayed Book Award."